What once was a modest fishing village at the tip of Egypt’s Sinai Peninsula is now a world class resort area with famous diving spots. Sharm El Sheika is now the home of “Sharmies” who are hosts to divers and vacationers seeking an exotic trip to Egypt and theq Red Sea. During the Isralea presence in the area near Mount Sinai between 1967 and 1982, tourist-oriented establishments began springing up including a marina hotel, diving clubs, the Naama Bay Hotel and what is now a well-known promenade. The Egyptians continued the trend toward tourism. The climate here is subtropical arid, or hot desert with January high temperatures in the upper 60s and low 70s. August highs are in the 90s. The waters of the Red Sea are warmed year-around by the warm air temperatures, making a trip to Egypt very exciting to anyone anytime of the year. The Red Sea Riviera is an attractive vacation spot, and water sports such as para-sailing, windsurfing, kite surfing and canoeing are enjoyable, but it will be the divers and snorkelers who are the most awed by a trip to Sharm El Sheikh. They will experience fantastic underwater scenery as they dart in and out among coral gardens, dive the Shark and Yolanda reefs and explore places like Anenome City. Marine life and other wild life is well respected here. The Nabq protected area is one of several safe havens for mangroves, wild animals and sand dunes. Land explorers can discover natural beauty also. Nearby Ras Muhammad is Egypt’s most famous national park and one of the most coveted dive sites in the world. It is situated between the Red Sea’s rich coral reefs and the inland part of the Sinai Desert. A stand of Mangrove, Avicennia marina lies at the southern end of the coral headland. 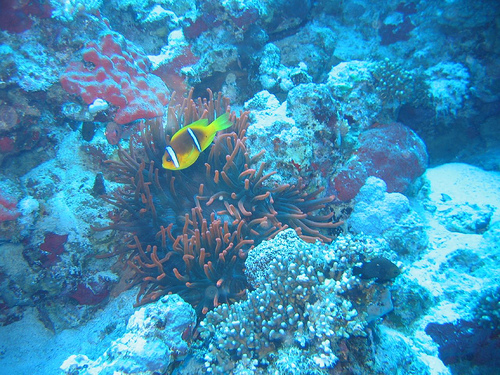 Here the crystal waters of the Red Sea are home to a large number of vertebrate and invertebrate species. A little further offshore you can watch the dolphins play. 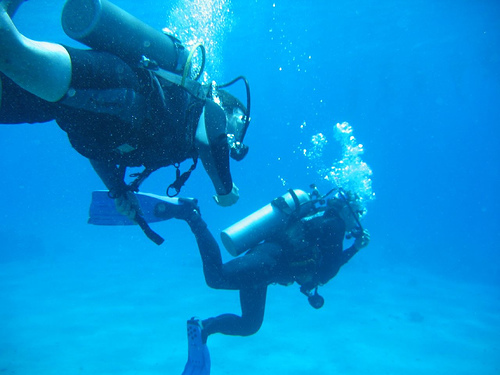 Divers won’t want to miss several diving attractions around Sharm El Sheikh. Jack Fish Alley, also known as Fisherman’s Bank has become an iconic diving spot. Begin by swimming through a cave 5 meters deep. The sunlight that seeps through a crack in the tunnel illuminates teeming schools of glassfish and other fascinating marine life. The steep promontory of RasZa’atir seemingly drops vertically into the Red Sea. Here divers can witness strange gorgonians and colonies of black coral. Of course vacation amenities abound in Sharm El Sheikh with casinos, bars, restaurant, shopping and nightlife. However, it is the charm and excitement of the Red Sea and the beauty of the Sinai Peninsula that makes Sharm El Sheikh a spectacular, unforgettable vacation destination.There are some amazing late deals to Sharm El Sheikh on the Internet. It’s a great time to explore Egypt’s stunning reefs and mysterious shipwreck’s.